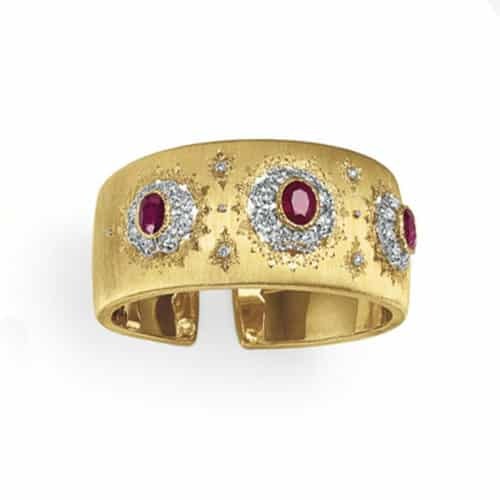 M. Buccellatti Ruby, Diamond and 18K Yellow Gold Hinged Cuff Bracelet. Photo Courtesy of Christie’s. A cuff bracelet is a non-flexible, band style bracelet with a gap, usually on the reverse. Cuff bracelets have been worn throughout the history of civilization in almost every culture.